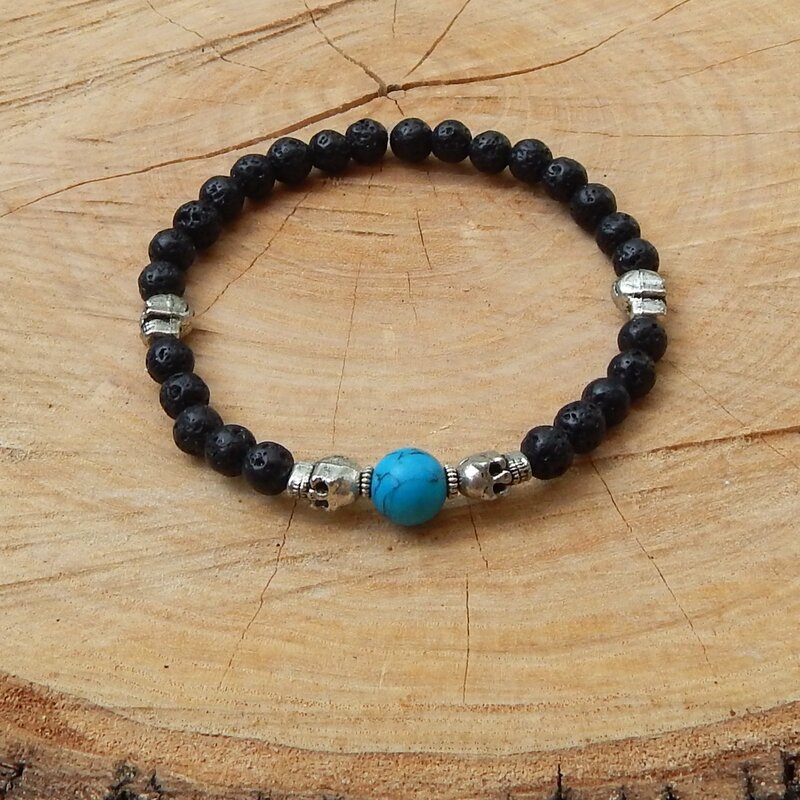 This masculine one-of-a-kind handmade men's bracelet is assembled with textured black Lava beads, silver Skull beads and a slightly larger Turquoise bead. Strung on strong 1mm nylon non fringe elastic. No Clasps, easy on and off. Fits most medium wrists.